Release Day - Welcome to the HOP! Happy September, Stampers! Today is September 1st, and there are 15 new stamps being released at www.techniquejunkies.com! To celebrate, we are having a blog hop that showcases art made with the newly released stamps. Not only that, but the 15 September release stamps are 15% off through September 8th, too! 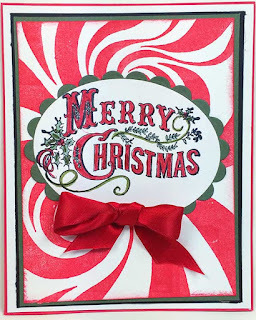 This month we are showcasing Christmas and Halloween stamps. Get ready to "get your holiday on!" 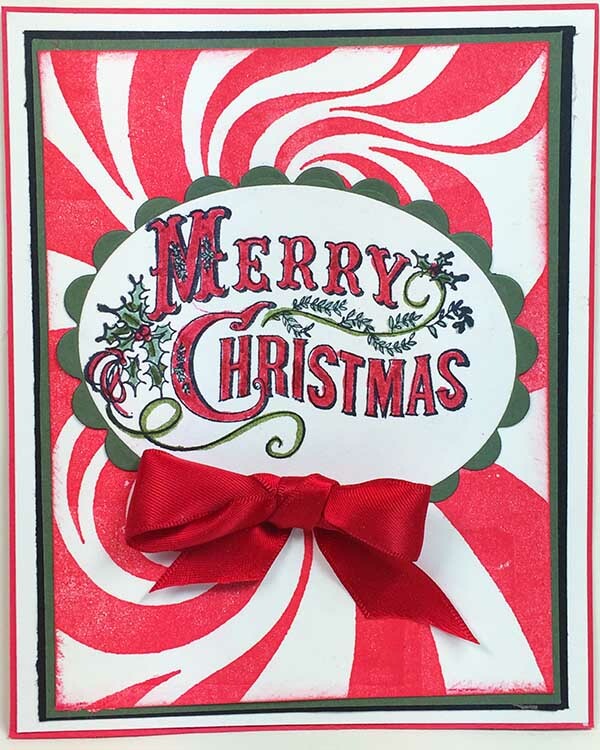 To kick off the hop, I am showcasing two of the new stamps, the Peppermint Swirl Background, and the Merry Christmas Sentiment stamp.This was a very easy card to make -- just Red Lipstick chalk ink over the background, with the sentiment being marker-colored. It doesn't get any easier than that! Take a tour through the artwork -- we hope you are inspired by our new stamps! Start with Pam's Blog, HERE -- and Have FUN!